Sunset Singers has expanded to Las Vegas! Sunset Singers specializes in providing premier vintage entertainment for public, private and corporate events. Each entertainment group is comprised of accomplished and professional singers with personality to spare. 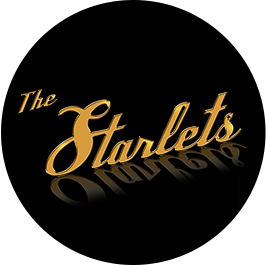 Delivering song after song steeped in Old Hollywood nostalgia, they pay tribute to the iconic singers and groups of the 30’s, 40's, 50's, 60's, 70’s & 80’s, which include The Andrews Sisters, The Ronettes, The Rat Pack, The Angels, Elvis Presley, The Shirelles, Chuck Berry, The Temptations, The Supremes, and more. Sunset Singers prides itself on top tier performance, from our talented vocalists to our thorough and efficient communication to ensure 100% client satisfaction. 60’s girl group hits with Supreme style by a trio of voices that'll knock your socks off! Holiday music with a 50's flair, sung by a trio of girls so sweet they'll give you a toothache! All your favorite 50’s malt shop oldies, with a little sugar and a whole lot of rock n' roll! 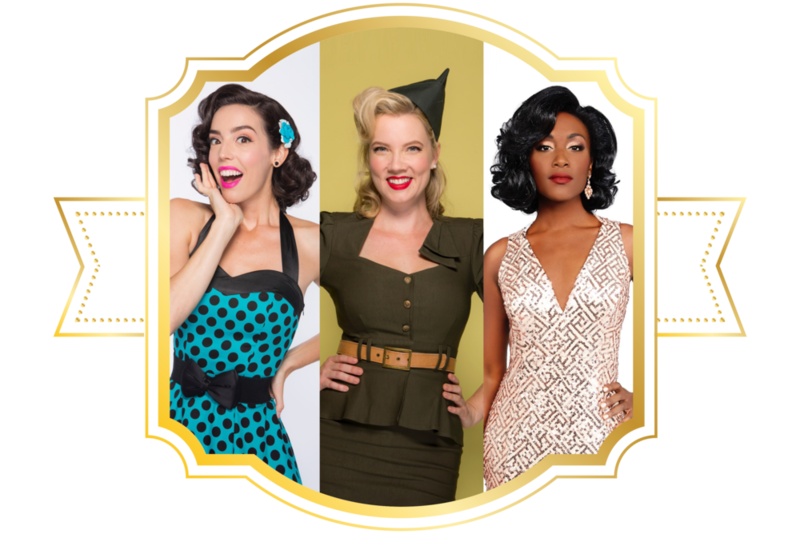 Boogie Woogie to 40’s big band hits from the swing era with our Andrews Sisters-inspired trio! A cappella renditions of hits from the 60's, 70's & 80's that will have you Walking on Sunshine! Four debonair gents delivering all the classics with smooth moves and even smoother voices! 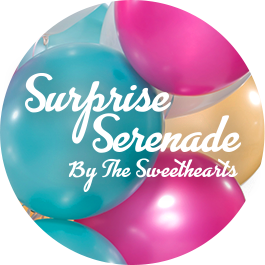 Nothing could be sweeter than a Surprise Serenade from The Sweethearts! Have a unique idea for entertainment? We offer customized shows, musical numbers, and more! 1950's & 1960's sung in three-part harmony. The show can be divided into two acts or several sets featuring banter, choreography and costume changes for each era of music. Where have your entertainment groups performed? Our vintage tribute acts and soloists have performed in theatres, performing arts centers, cruise lines, casinos, concerts, fairs, festivals, theme parks and more! What types of events do you do? We provide talented singers and musicians for public, private and corporate events, which include: featured performances, cocktail hours, weddings, benefits, parties, surprise singing telegrams, retail greetings, tree lightings and holiday celebrations. We offer shows with choreography and banter, ambient music, and a cappella caroling for the holidays. Do Sunset Singers travel outside of Los Angeles? Absolutely. Our entertainment groups travel all over the United States and beyond. Travel fees apply for those events outside of Los Angeles. Do you ever offer any reduced rates on entertainment for charity or nonprofit organizations? Yes, we’re charitably minded, so don't hesitate to reach out and see if we can work within your budget: entertainment@sunsetsingers.com. When does Sunset Singers look for new performers? We hold auditions throughout the year, which are always shared on our Facebook and Instagram pages. For those with existing acts who would like to be represented by Sunset Singers, please send all inquiries to sunsetsubmissions@gmail.com. How do I book entertainment for our event? Simply fill out this Sunset Singers Event Form to get started or contact us directly to get your quote. We're available for any questions, requests and concerns at any time leading up to your special event. Want to join our mailing list? At most, we send out a quarterly update. Send us your email address below. Drive your entertainment to the next level with Sunset Singers. 2019 © Sunset Singers, LLC. All rights reserved.